Being someone's wedding photographer is one of the most intimate ways to get to know a couple. 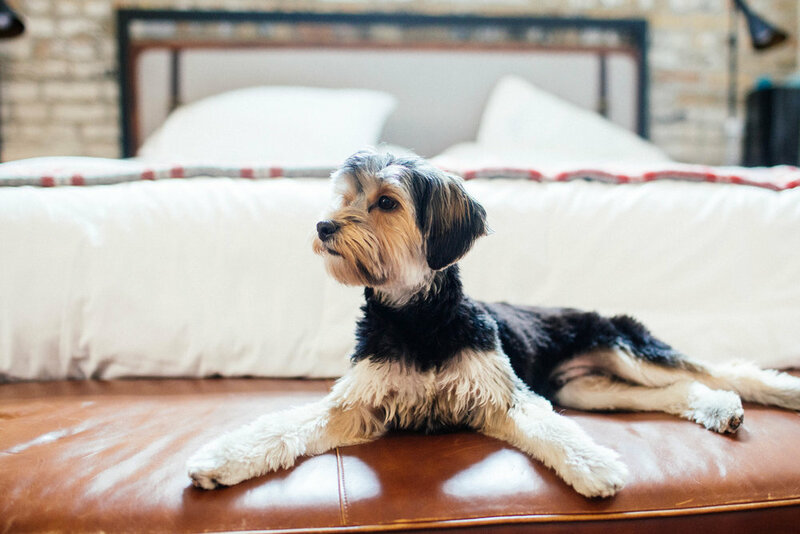 We typically meet our clients about a year before their wedding, get to know them over coffee or champagne. A few months later, we re-unite with while we shoot their engagement session. However, in the end - it truly is the wedding day where the relationship grows. We get to hear their friend's and families life stories - hear how they found the answer to the Universe together. We are so lucky to share one of the most memorable days of these couples lives with them - capturing it through our wedding photography! 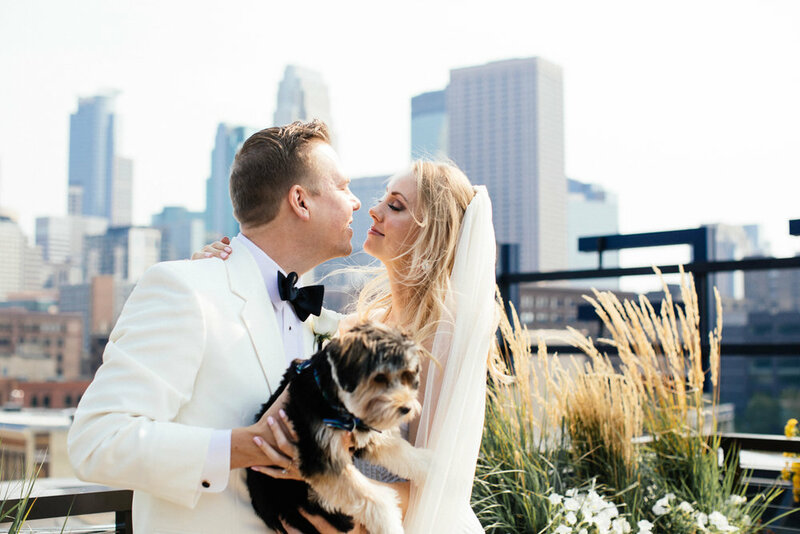 Michelle and Mark's wedding day began at the Hewing Hotel, where we captured their first look on the Hewing's beautiful rooftop patio, overlooking the Minneapolis Skyline. Mark's reaction to Michelle was unlike any we've seen before, his jaw dropped. After a mini pre-wedding shoot at The Hewing, we headed over to the Mill City Ruins to capture shots of their wedding party, and of course Michelle and Mark themselves! Michelle and Mark tied the knot at The Guthrie in the Amber Room. Shortly after their ceremony, we captured golden hour magic outside their venue!